What Does a Defense Attorney Know About Credit Card Fraud? 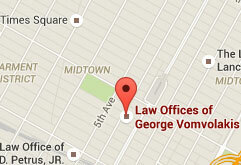 // What Does a Defense Attorney Know About Credit Card Fraud? With the increased use of and dependence upon credit and debit cards instead of cash, credit card fraud has been on the rise in recent years. In order to address the serious nature of these crimes, more aggressive laws have been developed to combat them. Credit card fraud straddles both fraud and theft charges, depending on the nature of the crime. Hiring a knowledgeable defense attorney can help you determine what you are up against and the best course of action to build a viable defense. Credit card theft. 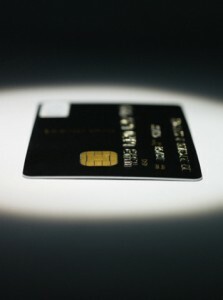 In addition to theft of the physical card, illegal acquisition of credit card information may also be charged as theft. Unauthorized card use. Regardless of whether you found a card or knowingly stole it, use of that card without the owner’s permission is illegal. Fraudulent card acquisition. Applying for a card or credit in someone else’s name, whether it is done via phone, internet or mail, is also illegal. Manufacturing counterfeit cards. “Skimming” has become an increasingly popular fraud tactic. Stolen credit card numbers are applied to a dummy card, which is then used illegally. Use of spam email or false websites. “Phishing” is used to gather card numbers by baiting victims into willingly providing their numbers to thieves. As the methods of credit card fraud evolve, use and possession of the actual credit card is less common and more crimes happen online with use of the number alone. In the event the physical card is utilized, forgery charges may also come into play if falsified signatures and information are provided. If you have been wrongfully accused of credit card fraud, an experienced New York defense attorney can help you fight the charges.